WILLEMSTAD - Never experienced a solar eclipse? Then it's your chance. Next Monday between two and six o'clock in the afternoon the sun disappears for a large part behind the moon. The partial solar eclipse is greatest at ten to four. Then 63% of the sun is covered. 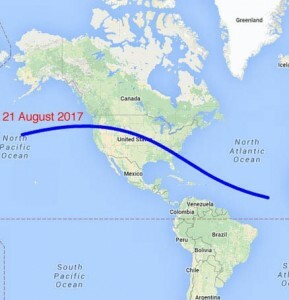 If you want to see a total solar eclipse, you need to find a spot between Oregon and South Carolina in the United States. The Meteorological Department warns not to look at the partial eclipse without special glasses.